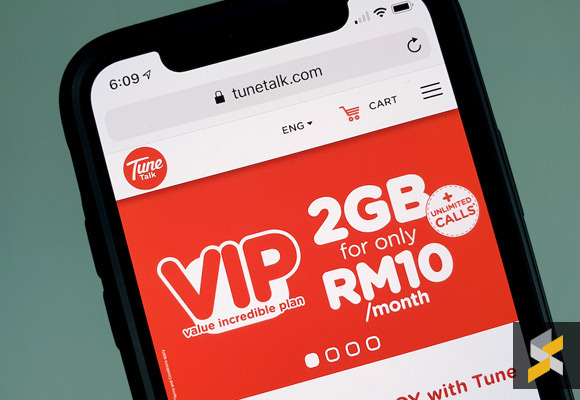 Mobile prepaid plans are quite affordable these days but if you’re looking for a cheaper and basic alternative, TuneTalk has just revealed a new RM10 VIP prepaid plan for a specific target group. 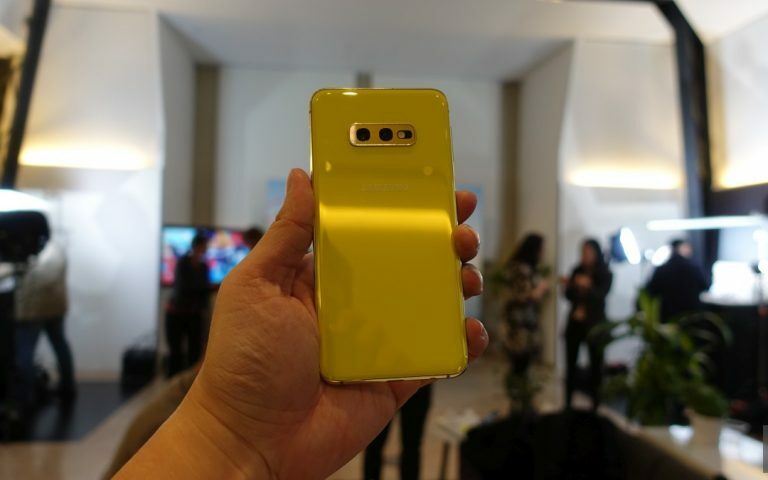 The basic plan provides 2GB of high-speed data plus unlimited calls within the same network. 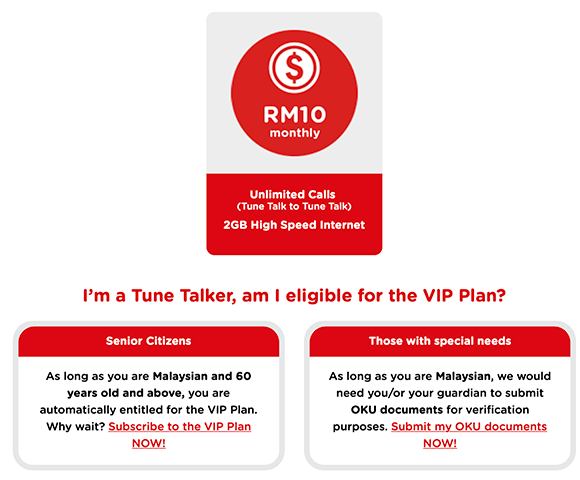 The TuneTalk VIP plan is open to Malaysians aged 60 years old and above as well as Malaysians with disabilities (OKU). For eligible senior citizens, you can register the new plan by submitting a copy of your IC while OKU customers can submit a copy of their OKU Card. After the verification is completed, you can select the VIP Plan via the TuneTalk app. Alternatively, you can activate the plan by SMS by sending “VIP” to 2222. According to the FAQ, you can subscribe up to 5 VIP plans per eligible IC number. Parents and guardians of OKU are also eligible to sign up but they would need to provide proof of relationship which can be in the form of a birth certificate or other official documents. 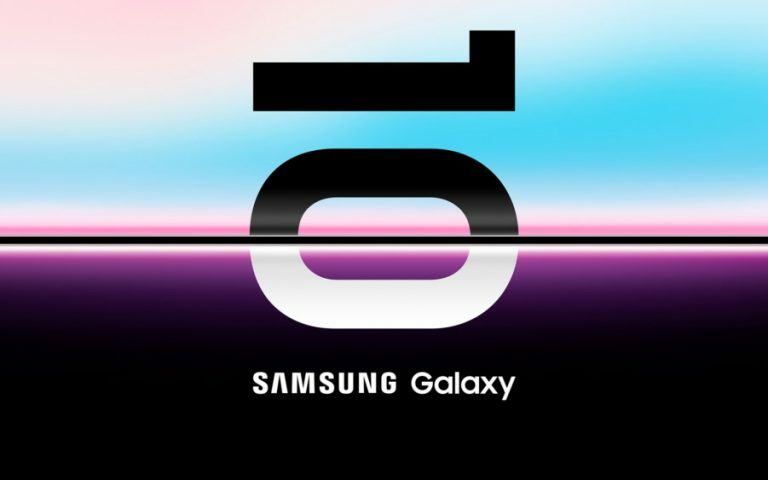 The FAQ also states that the RM10 VIP plan has a limited quota and it will be available on a first come, first serve basis. 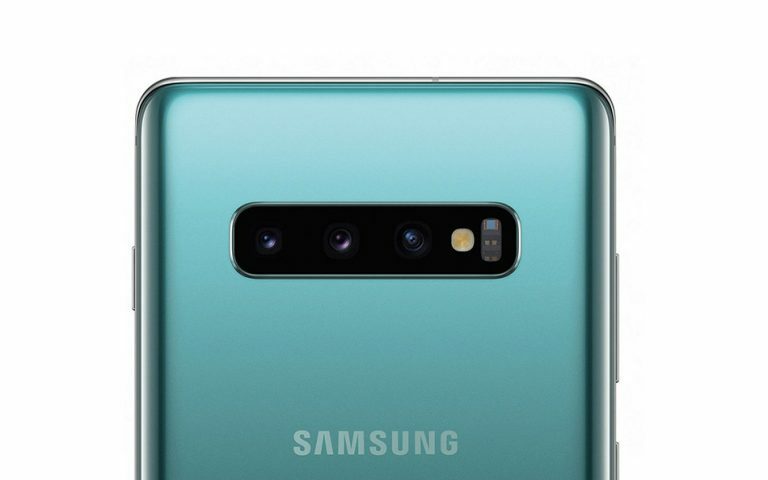 2GB might sound little for today’s standards but it should be more than enough for instant messaging and casual web browsing. For more info, visit TuneTalk’s VIP page.